Awhile back, we learned the sound of /ar/ and I failed to post some pictures of my cuties (with their faces erased, of course.) 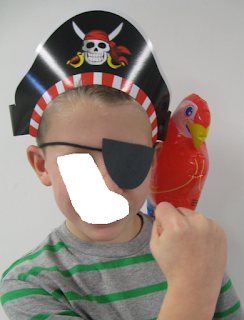 I purchased the pirate hats (6 in a package) and the blow up parrot at The Dollar Tree. 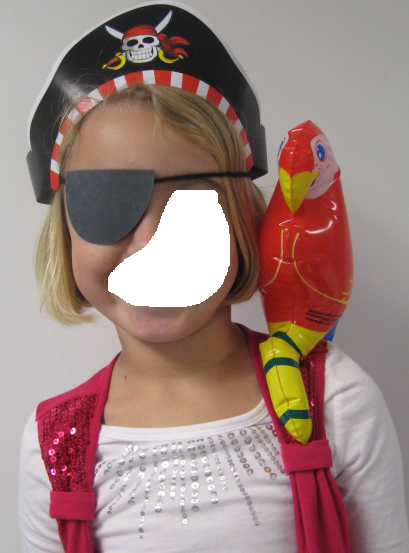 The eye patch is black construction paper and yarn. 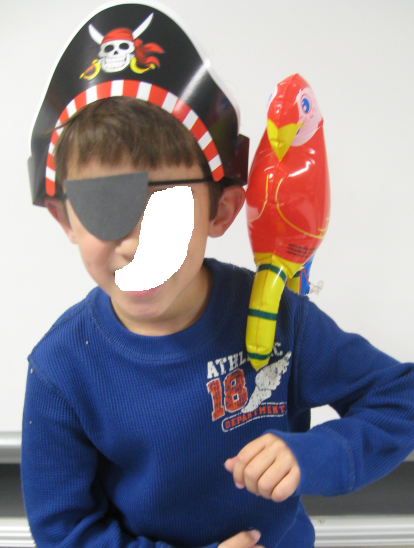 My firsties loved this.